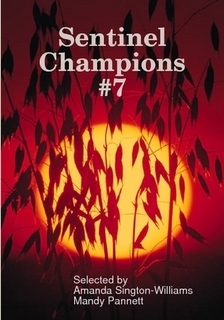 Features the winners and commended poems and short stories from the Sentinel Literary Quarterly Poetry and Short Story Competitions (January 2012) judged by Derek Adams and David CadDy respectively. Judges' reports on the poetry and short story competitions. Buy the Sentinel Champions #11 eBook for just £1.49 from the drop-down cart button below and we will deliver issues #9 and #10 eBooks FREE! Please note that Sentinel Champions magazine in its present form will be retired following the publication of the current issue. Issue #11 is the last time it will appear as a standalone magazine. What would have been Issue #12 and subsequent issues will now form a section in our flagship magazine, Sentinel Literary Quarterly. This way we have one big, richer magazine with far wider circulation. All existing Sentinel Champions subscribers will henceforth receive the Sentinel Literary Quarterly.